A decal illustration inspired by the early 20th century Japanese scene. 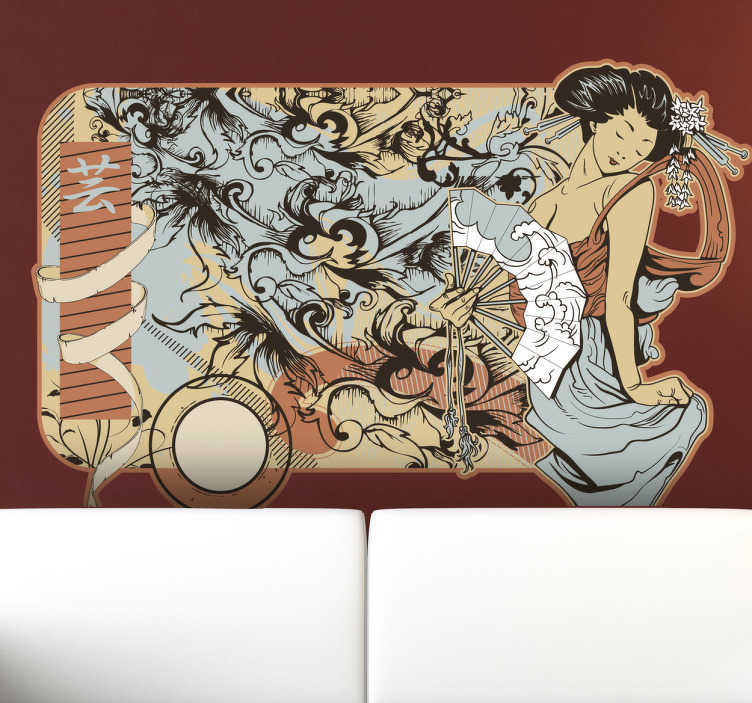 Design from our collection of Japanese wall stickers for your home. This superb label decal is perfect for those looking for a classy and elegant wall decoration. If you are into the Japanese culture then this is ideal for you! This modern japanese label is ideal to be placed on smooth surfaces. Available in various sizes and made from high quality vinyl. Super easy to apply and remove.